Get Ready, Get Set, Propose? Before Susanne Alexander said “I do,” she thought a lot about what she would do as a wife. But she didn’t do it alone. She and her future husband evaluated their health, finances and family plans together to ensure they could successfully pull off a long-term marriage commitment. It took planning to get it right. “We spent time writing down what we wanted a marriage to look like to ensure we had similar visions,” she said. And then, he proposed. Couples often envision living happily ever after once one or the other pops the question, but in reality, planning and evaluating your compatibility and emotional readiness for marriage is crucial before the proposal. 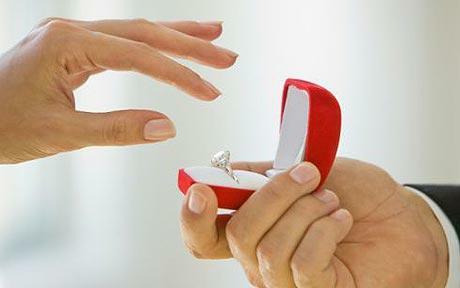 Most couples are fully aware that a marriage proposal can be a life-changing event. But sometimes the rush of being in love causes even the most logical person to enter into a commitment with blinders on, unaware of the potential stress involved. In preparing for the proposal, the adage “To Thine Own Self Be True” is key, said Karol Ward, author and New York City-based psychotherapist. “If the persons involved in the proposing and receiving of the proposal are not in touch with what really matters to them — their bottom lines in relationships — then the potential for regret is down the road,” Ward said. Three words to describe me? Passionate. Motivated. Curious. These traits help me as a college media adviser and professor, freelance writer, author and mom. From student journalism and higher education to parenting and freelance writing, this site, focused on writing, reflecting and teaching, offers a mix of blogs with a hint of humor, sarcasm, and inspiration, as well as my published stories on just about every possible topic. Feel free to browse my sample works including feature news, magazine, and web copywriting pieces from the past and present. You can also pick up my new book “Screen-Free Fun: 400 Activities for the Whole Family” now available. Check back often for daily updates, blog entries, and additional stories. Feel free to contact me directly at shphilpott@gmail.com, follow me on Twitter, or grab tips for Screen-Free Fun on our Facebook page. Comments are welcome!